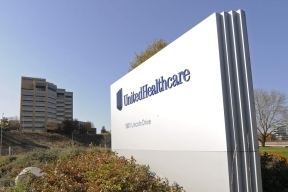 Advocate Health Care and UnitedHealthcare are expanding their accountable care relationship to help improve care coordination and enhance health services for more than 80,000 Illinois residents enrolled in UnitedHealthcare’s employer-sponsored health plans, beginning July 1, 2015. UnitedHealthcare will complement Advocate Health Care’s clinical care and data by giving the group’s 5,500 physicians support needed to manage overall population health, including technology and information that will help them take specific actions that improve quality and lower costs. Actionable data can include patient profiles, specific Healthcare Effectiveness Data and Information Set (HEDIS) gaps, and real-time information about emergency room and inpatient admissions. The expanded accountable care relationship will also help transition Advocate Health Care away from a fee-for-service compensation model to a value-based approach in which physicians are eligible to receive payment incentives based on achieving higher patient satisfaction, certain evidence-based measures – such as hospital readmission rates, disease management and prevention, and patient safety – as well as total cost savings. For more information about UnitedHealthcare’s full spectrum of value-based initiatives, visit www.AccountableCareAnswers.com.